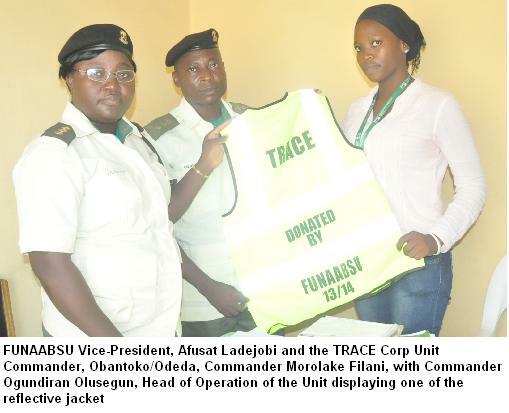 As part of its Corporate Social Responsibilities (CSR) programmes, the Federal University of Agriculture, Abeokuta Student Union (FUNAABSU), recently donated 10 sets of reflective jackets to the Obantoko/Odeda Unit of the Traffic Compliance and Enforcement Agency (TRACE), Ogun State. Presenting the gifts, FUNAABSU Vice-President, Comrade Afusat Ladejobi, stated that the Union was delighted at giving back to the society, while she commended the men and officials of TRACE for the services rendered to the society in the area of traffic control and compliance. 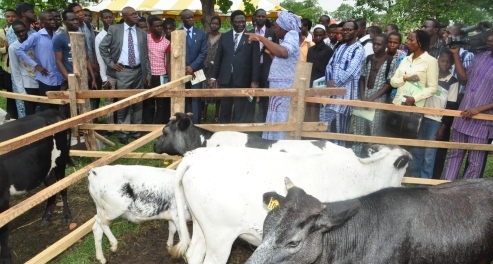 The Vice-President promised that the present Executive of the FUNAABSU, under the leadership of Comrade Kehinde Awosanya, was determined to champion a form of “developmental unionism, rather than a confrontational unionism”. The General-Secretary of the Union, Comrade Olalekan Adesulu, also thanked the Agency for their services to the society, as he encouraged them to wear the jackets while on duty. 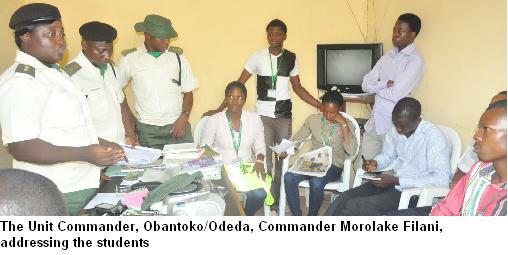 Responding, the TRACE Unit Commander of Obantoko/Odeda, Commander Morolake Filani, appreciated the Students’ Union for the gesture and expressed her optimism that with the generosity displayed by the youths, there was bright hope for the country.